Number 70 in the Village signs series of caches based on the ornate signs that depict the heritage, history and culture of the villages that put them up (normally on the village green!). Stoke Hammond is a village in the Aylesbury Vale district of North Buckinghamshire, about two and half miles south of Fenny Stratford (Milton Keynes). The village was first recorded in the Domesday Book of 1086 as Stoche, a common place name in England denoting an Anglo-Saxon church or place of worship. 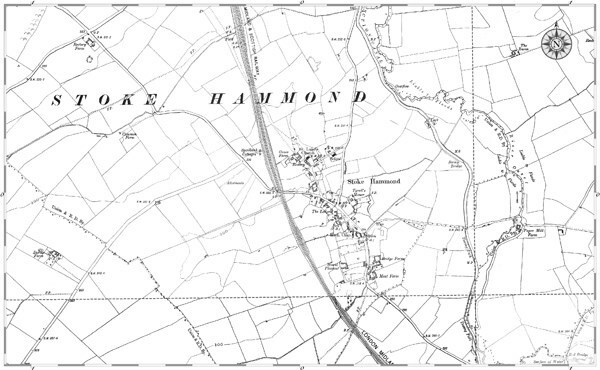 The suffix Hammond was added later, referring to the family of Hamon Brito, who owned the estate. 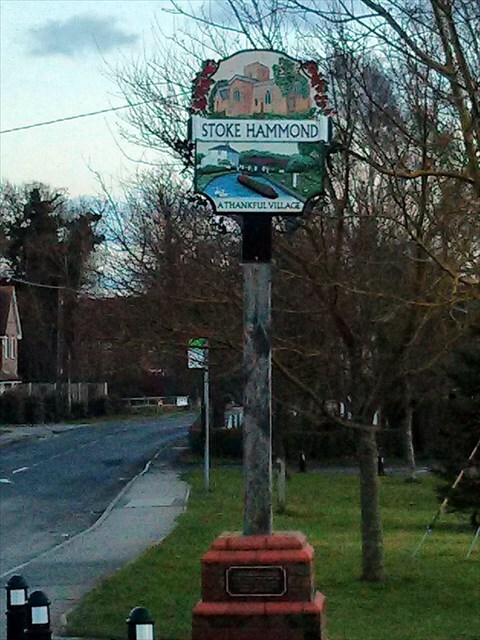 The Stoke Hammond village sign depicts the two most noticeable features of the village - St Luke’s Church and the Grand Union Canal. It also states that the village is a ‘Thankful Village’. This refers to the fact that there is no First World War memorial in the village because fortunately all the men resident in the village who went to fight in the war returned home safely. The cache is a small plastic tube with magnet attached. You will need to bring your own writing implement.